The retailer had been located at 114 N 4th Street since 1929. 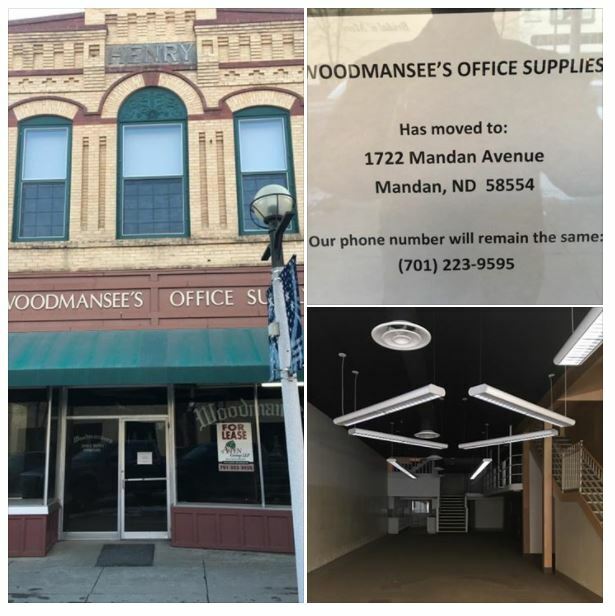 Woodmansee’s – a fixture in downtown Bismarck for over 100 years – has relocated to Mandan. A sign on their door confirms their new location at 1722 Mandan Avenue in Mandan. The store was established in 1914 and had been located at 114 N 4th Street since 1929, in the building originally home to long-time local department store A.W. Lucas. Its long-time neighbor, Mathison’s, also recently relocated outside of downtown.